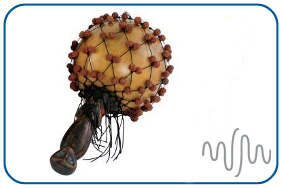 The Shekere uses a gourd (or Kalibash) covered with a mesh of Jentri beads. 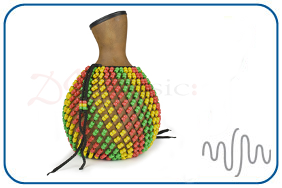 The beads bang and rub across the gourd to produce a rhythmic scraping noise reminiscent of a maraca but with a significantly different sound. 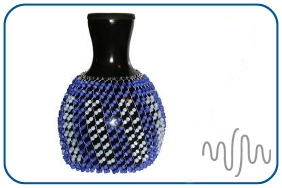 Please call us on 01622 522110 to place your order. Our friendly team will be more than happy to answer any questions that you may have.